Welcome to the land of the Pyramids and temples... the cradle of civilisation! 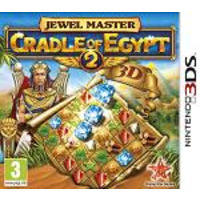 Recreate a millennia-old civilisation with the latest in the best-selling series Jewel Master: Cradle Of Egypt 2. Return to Egypt and advance from hard-working farmers to the mighty Pharaohs erecting the Pyramids the Sphinx and 18 other famous monuments.